If you live in Florida, chances are you will be a passenger on someone’s boat or a captain of your own at some point in time. While there are tons of useful boat safety resources on the US Coast Guard’s website, we wanted to share with you a few critical items before getting out on the water this summer. Always check the weather before embarking on a boat outing. Florida summers may bring harmless light sprinkles, but they can also bring severe thunderstorms, so be sure the check to forecast and bring a weather radio aboard. Signs that a storm may be brewing include sudden wind shifts and choppy water. Have the appropriate safety equipment on board at all times: a fire extinguisher, enough U.S. Coast Guard approved life jackets for all boat passengers and a first aid kit. It’s also advised to check all boat lights to ensure they are all operable. 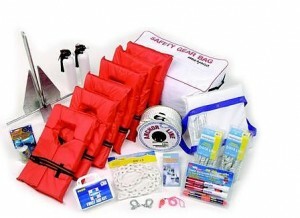 Do not overload your boat – Doing so will increase your risk of taking on water or capsizing. Check your boat’s capacity limited located on the plate near the boat operator’s steering area. Abide by all boat traffic rules, especially if traveling in the intercostal waterways, and please boat responsibly. Although boating is a fun sport, it is illegal to operate a boat while under the influence of alcohol. Alcohol affects your judgment, vision balance and coordination which can put yourself and your passengers in harms way.